Enjoy all the moments of your night with your Mevo. Don’t worry about the time ticking away. What is Mevo? 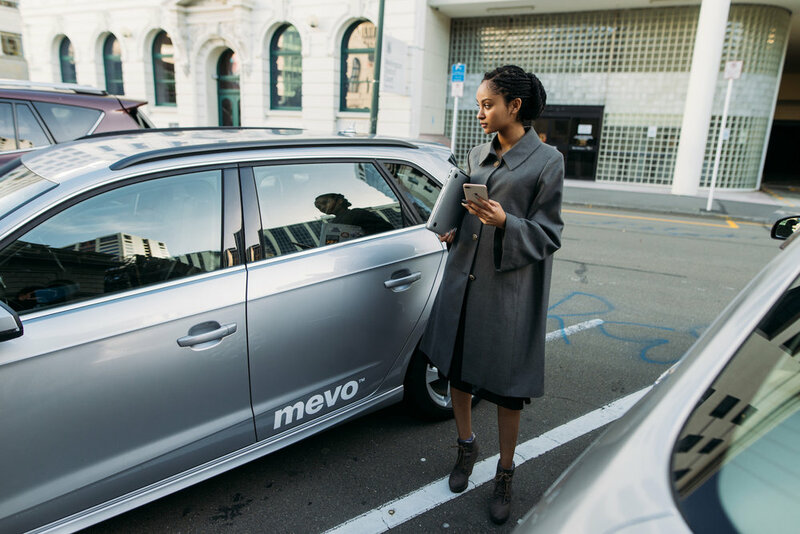 Mevo is a whole new take on car ownership. You can have all the freedom of a personal car at a fraction of the cost and none of the stress. With Mevo Nights, any trips between 6PM till 8AM the next day are capped at the max cost of 2 hours. Applies for weekdays & weekends. Like always, it includes your insurance, electricity, petrol, 120% carbon offset, grooming, 24/7 roadside emergency support, and more. Take advantage of the night rate and use Mevo to commute to work or travels to the airport next day. With parking in the CBD costing $4-$20/hr, you can save yourself the money and the stress. Drive your Mevo straight to the office and park out front. Treat yourselves to a dinner and a movie with your electric hybrid Audi. Or arrive in style to make that great first impression. Just drive and we have everything covered. Is Mevo Night rate only for Monday to Friday? No, Saturday and Sunday evenings are also under Mevo night rates. Do I have to keep the Mevo till 8am? No, you don’t have to. Please note, after 8am your regular membership rates apply. Were out for a trip for 4 hours? 6 hours? 7.5 hours? You’ll still only be billed for 2 hours at your plan rate. Do I have to unlock the Mevo exactly at 6pm or return at 8 am sharp? No, You can start the trip earlier or return later if you’d like. However, note any usage outside of 6pm to 8am window will be billed at the rate according to your membership. What if I only took a Mevo out for 1 hour between 6pm to 8am? You'll simply be billed for 1 hour of use. Anything less than 2 hours will be billed according to the normal rates. If there are any additional questions not addressed, please chat with our support team here.